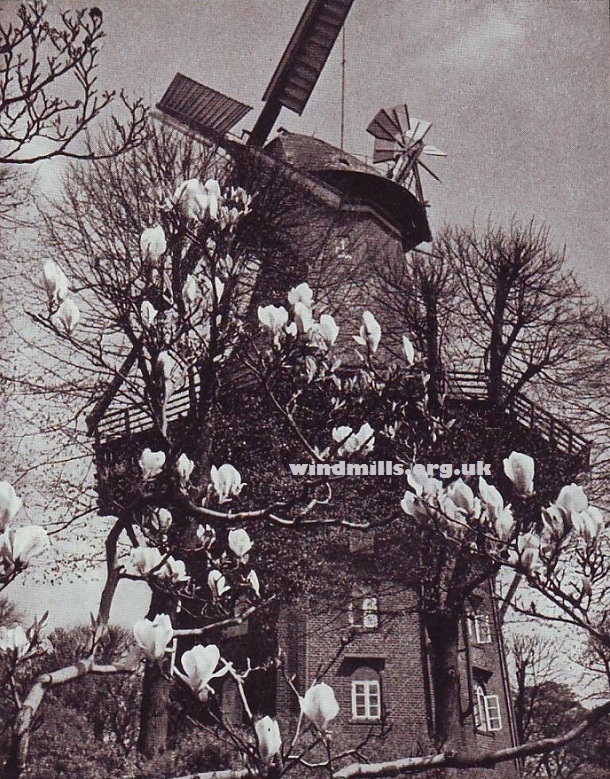 An old photograph of the mill in Bremen, Germany, c.1935. Three images of the ‘Am Wall’ smock (Galerieholländer) mill in Wallanlagen Park, Bremen, north-west Germany. 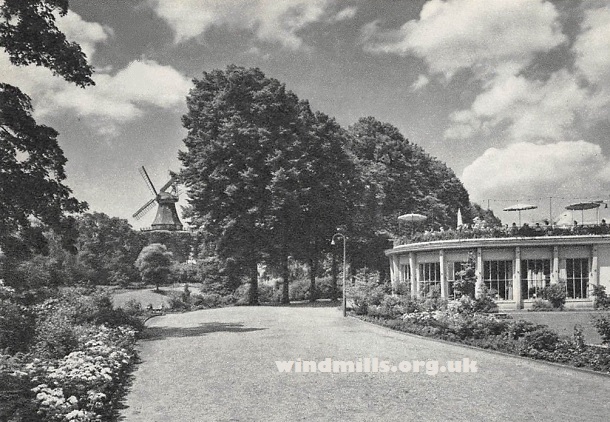 A late 1960s photograph of the late 19th century windmill from the grounds of the Hillmann Cafe. The mill dates back to 1898 and is built around an eight sided base, with the upper part steered by a wind vane. The four sails of the windmill are shuttered. An aerial view of the Am Wall mill in Bremen. 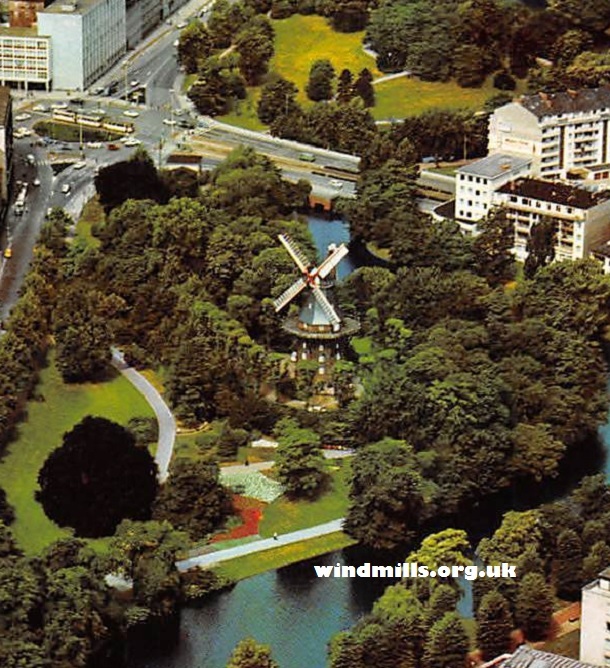 As can be seen the mill is located in the middle of a city park. This fine example of a smock mill is now home to a restaurant and the mill itself open tourists every afternoon on payment of a small charge. This entry was posted in Old Images, Windmills and tagged Bremen, germany, mill, Muehle, Windmuehlen on October 3, 2015 by Tower Mill.